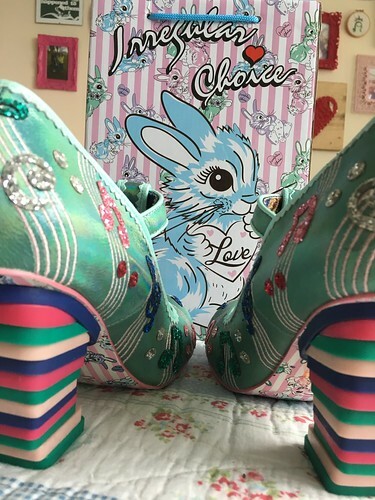 t*rexes and tiaras: Sunday Shoes 133.. I feel as though I've rather fallen behind with some of the things I've been wanting to share on here, lately. Not just completed projects, new shoes and clothes, things I've been watching or listening to, but also lots of things about life in general. But hey ho. There's no rush. A bit at a time, and whatever you can manage, is just okay. 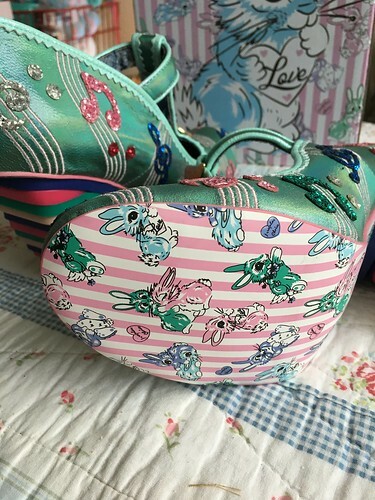 It seems like quite a while since I shared a new pair of shoes - most new additions to my collection lately have been second hand, but here is my first pair from this season and so my first bunny print box. 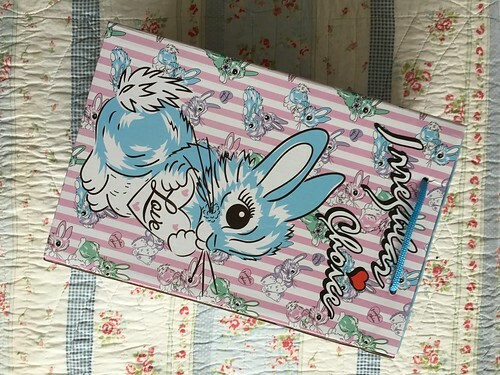 I love the muted pastel tones of this colourscheme; it seems perfect for springtime, and as is usually the case these days, the soles match the print on the box. 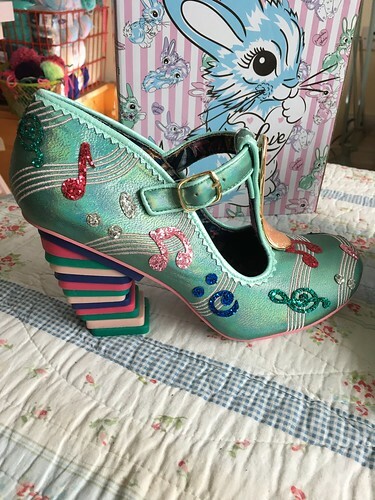 Anyhow, this style is Off Beat and they caught my eye first because of the lovely colourful stacked heel. 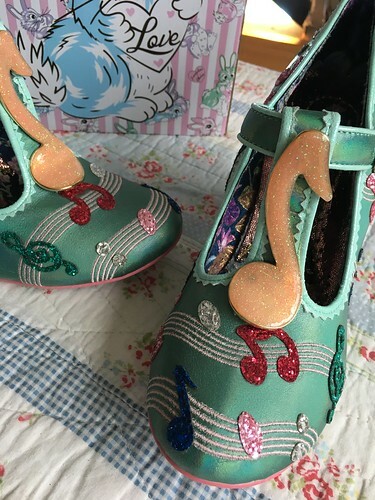 The fronts are decorated with music notes and I love the mix of colour and glitter. The T-shaped Mary Jane strap is just a lovely finishing touch, in my opinion. These are absolutely lovely. So cute.